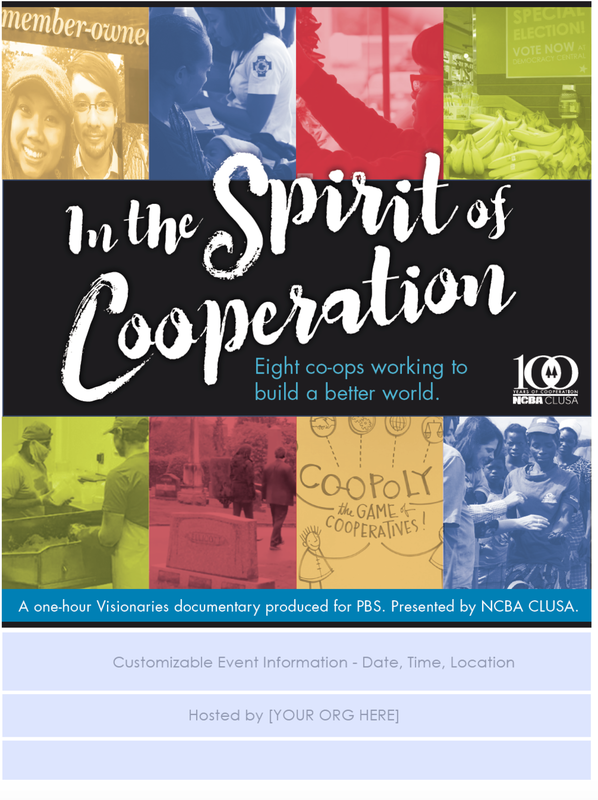 Thank you for your interest in hosting a screening of "In the Spirit of Cooperation" produced by Visionaries for PBS, presented by NCBA CLUSA. For a link to download the HD film for screening, please fill out a Screening Application, and we will contact you with a link to the file. The National Cooperative Business Association (NCBA CLUSA) was founded 100 years ago, but co-ops have been around since the 1700s. Learn more co-op history from our 100th Anniversary timeline. The camera crew travelled over 37,000 miles to shoot this film in 6 locations on 3 continents. This film features four types of co-ops (agriculture, worker-owned, credit unions and consumer based, such as food co-ops), but the co-op model is also used for utilities, purchasing and housing as well! Learn more about the different Co-op Sectors. Learn more about why Visionaries chose the co-op model as a subject.